It has been a month since I had the DeLorean hauled down to Hunting Beach. Well, I got it back today, and it is running better than ever...for now. The stalling issue was fixed and I should be good until the next time it fails. I also needed a smog certification...hey, thanks for nothing, California. Fix leak in engine block. Yeah, I know. I was told that "the engine has cancer". The coolant was eating away at the block and caused a leak. They fixed it by plugging the hole. This beats the alternative, which is to replace the entire engine. The fix should last until it fails...so, the cancer can comeback at any time. Ugh! Got a new radiator, because the old was one was leaking, too. Argh! Clean electric plugs at coil cover. This was the area causing all those shut offs. There were a few little things, but that was the bulk of it. Yeah, minor stuff that ended up being some major stuff. Hey, it needed to be done. Hopefully, that damn engine does not leak anymore. Otherwise, the cancer will be eating away at my bank account even more. The price of owning a classic car. Now, to drive it like I wanted to since January...I am four months behind...if only I had a time machine. A while back, Hot Wheels released Nitro Speeders. I did not work on these, so it went under my radar. A few weeks ago the Designer of these Nitro Speeders was cleaning out some storage bins and found some 'extra' ones laying around. He gave me one. A little product description before we move on. 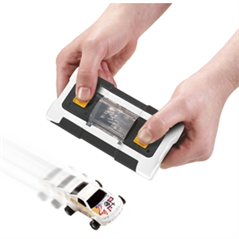 Nitro Speeders are little infrared light controlled cars. No, not RC (radio control), IR (infrared). 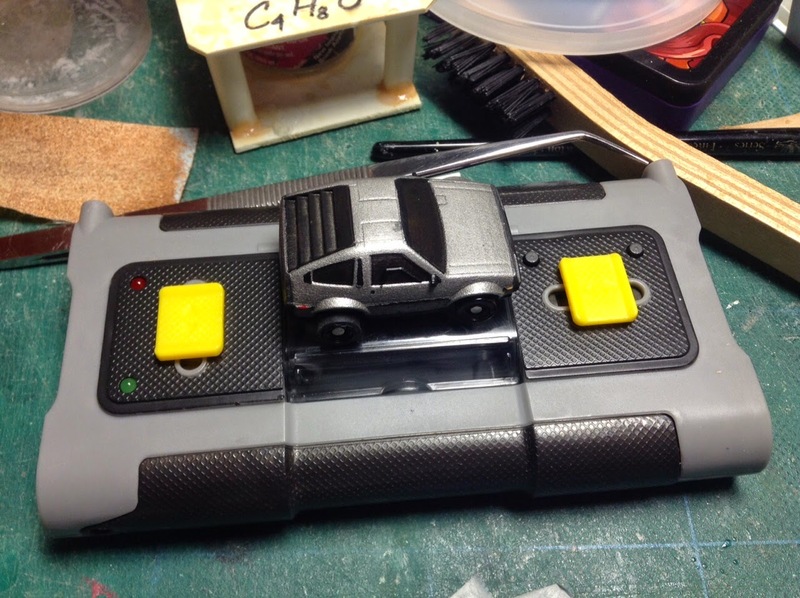 The controller is the base where you can also charge and store the vehicle. There are infrared lights in the controller and a receiver in the car. There were a few versions released, all had the relative same chassis and different bodies. Back to the customization. Among the many vehicles available, there was not a DeLorean. 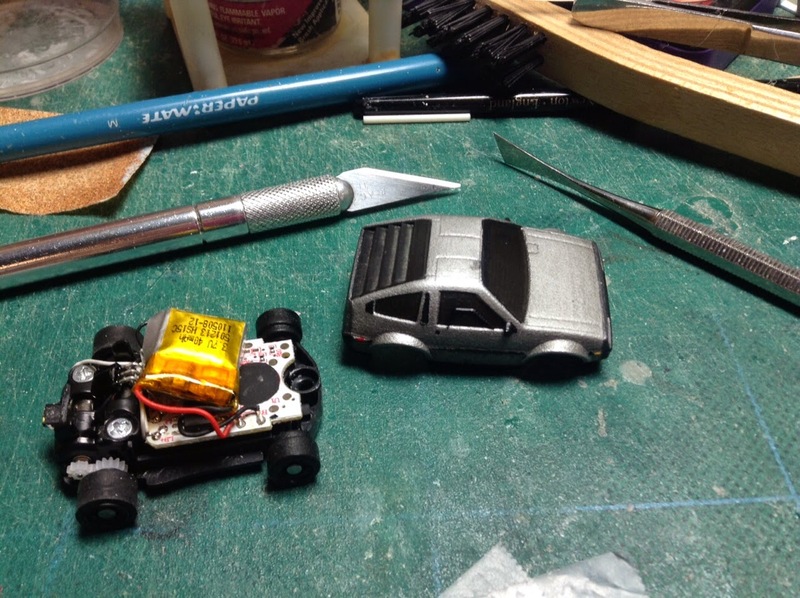 Since I had a 'stock' Nitro Speeder, I wanted to make a custom DeLorean body for it. 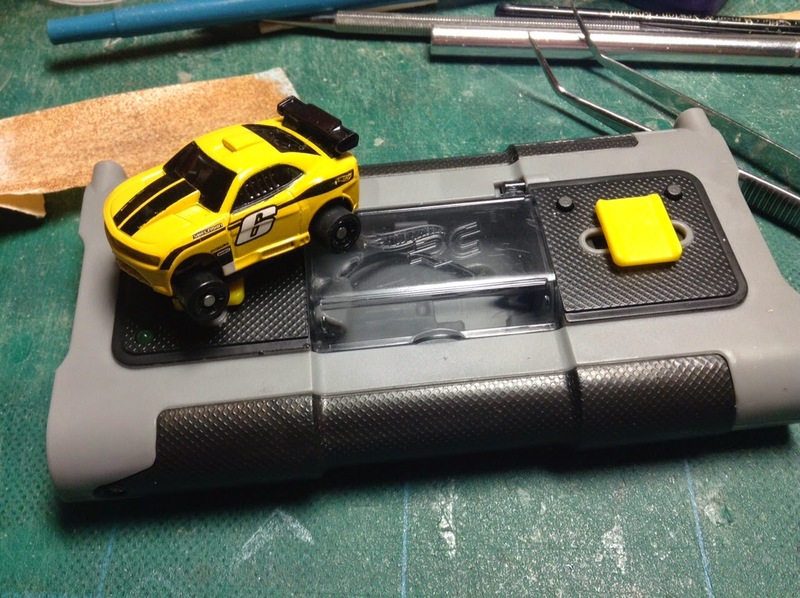 I had a Custom Camero to start with. I actually worked on the Mainline Hot Wheels of this car. They took my file and adjusted it to fit the existing chassis. Luckily, I had the file of the chassis. Although, the file I had was for a different version. 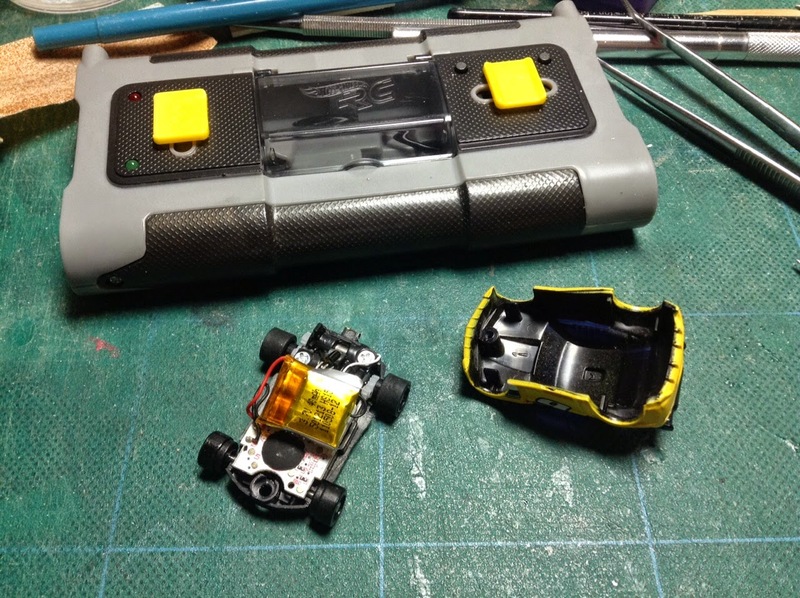 So, I still had to take measurements of the chassis I had and adjust the file to match. Obviously, I have the DeLorean files. I modified the DeLorean to fit the chassis. The body needed to be somewhat transparent for the infrared light to reach the receiver. 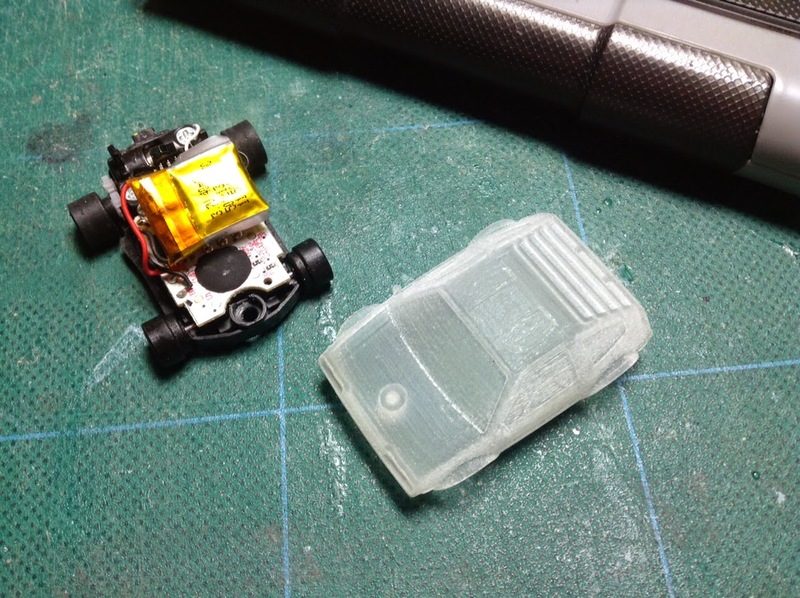 I had the body printed in clear, to be painted later. I used a smoke tint for the windows and louvre. It looks black, but it is a tint. Then, I masked off the windows and gave it a spray of silver. Details like the black trim, fascias, and lights were painted using a brush. There you have it, a one-off DeLorean Nitro Speeder. I may do a Time Machine version in the future.